We all have bad breath at one time or another, but no one wants it. 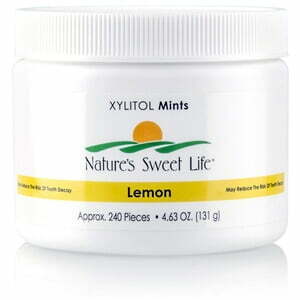 Nature’s Sunshine Sweet Life Xylitol Mints help freshen the mouth and actually help promote oral health. Lactic acid, the most damaging acid for your teeth, is produced by the fermentation of sugar by bacteria. However, bacteria can’t ferment xylitol, which results in less tooth-destroying acid and promotes an inhospitable environment for unwanted microorganisms. 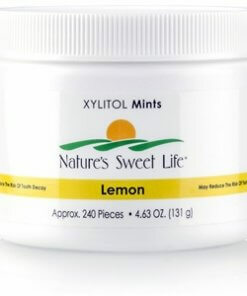 Sweet Life Xylitol Mints contain xylitol, calcium lactate, magnesium stearate, gum arabic, natural flavor from either lemon oil or peppermint oil, glazing agent and beeswax. Xylitol, calcium lactate, mag- nesium stearate, gum arabic, natural flavor (lemon oil), glazing agent (beeswax).